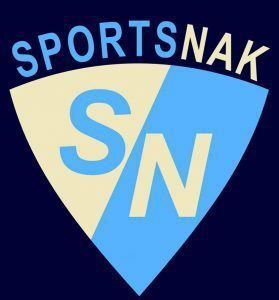 Welcome to the fifth instalment of “Brother Banter” with the brothers behind SportsNak, Adam and Rossy Pasternak. This week, the boys argue many different topics in sports this week. Keep checking in every week for new editions of “Brother Banter”, and be sure to let us know what you think in the “Comments” section below the article! Adam: I’m gonna get right to it. David Blatt’s firing comes as a massive shock to me. The Cavs are currently first in the east with a 30-11 win/loss record. There were reports last season that LeBron and company weren’t happy with Blatt and that there were issues between the two. Their run to the finals quickly squashed those rumours…but is it possible that their past issues have come back, and thus cause Blatt’s firing? Either way, this could not have come at a more surprising time and I’m not sure this is the right move for the Cavs. What do you have to say about this, Rossy? Rossy: First thing first, Tyronn Lue is a good coach, and he will do just fine with the Cavs. Now that thats over with, I have a few things I want to say about LeBron James. Firstly, many people have the opinion that LeBron is THE leader in the NBA, the best at generating team chemistry and working with others. Lets check our facts on that. Just in his second stint in Cleveland alone, James has almost pushed out a superstar in Kevin Love with his FIT OUT tweet, and almost singlehandedly ruined the reputation of a first-time coach tasked with bringing together an injury-riddled, flawed roster. Blatt still managed to exit his time with Cleveland with a 83-40 record, not counting the playoffs. LeBron repeatedly has undermined Blatt’s authority, ignoring his play calls, pretty much telling the team that he is more important, and has more power, than his head coach. LeBron James is not, in my opinion, a good teammate. He airs his dirty laundry in public, repeatedly, and disregards anything or anyone he does not like or agree with. Every team LeBron plays for has controversy and distractions, almost always due to the fact that LeBron places himself, his personal brand, and how he is viewed in the public, over his teammates. If he is struggling or losing, he blames his coach, his teammates, or his health. If his team is struggling, he says that he can’t do it alone, and his teammates need to step it up. I think things are not as merry in the Cleveland locker room as many think, and I think Kevin Love’s quote after the loss to Golden State reveals it. Love says, “it’s going to take a lot of guys looking at themselves in the mirror and it all starts with our leader there and it trickles on down.” Love is referring to James of course. In my interpretation, this is a star player calling out one of the best players in the world, and telling him to look in the mirror, not around him, to see what the problem is. David Blatt deserved better than this, and he will be back. Adam: I agree with most of what you are saying, but have you heard what Brendon Haywood said about the whole situation? “Coach Blatt was very hesitant to challenge LeBron James. It was one of those situations where, being a rookie coach, and LeBron being bigger than life, it was a little too much for him. I remember we had James Jones [talk] to Coach about how, ‘Hey, you can’t just skip over when LeBron James makes a mistake in the film room.’ Because we all see it. And we’re like, ‘Hey, you didn’t say anything about that. You’re going to correct when Matthew Dellavedova‘s not in the right spot. You’re going to say something when Tristan Thompson‘s not in the right spot. Well, we see a fast break and LeBron didn’t get back on defense or there’s a rotation and he’s supposed to be there, and you just keep rolling the film and the whole room is quiet.’ We see that as players. That’s when … as a player, you start to lose respect for a coach. After reading those comments, the firing is more understandable and I agree that the move had to be made. If a coach is scared to criticize any player on his team, then he should not be a coach in the NBA. Criticizing your players and telling them what they did wrong in order to improve, is literally the definition of coaching. With that being said, I don’t think Blatt will have any issues finding a job. There will be teams lining up at his door for assistant coaching jobs, which I think is the perfect role for him at this time. What do you think of the comments by Haywood, and where do you see Blatt as a fit in the NBA? Rossy: When I made my previous statement, I was aware of Haywood’s comments. David Blatt was put into a situation where, if the superstar did not like him, the owner and GM would have no problem firing him and getting a guy that LeBron likes. By the way, thats just what happened here, whether or not it was by LeBron’s urging. Also, that Haywood quote is yet another example of these LeBron-led Cavs’ airing their dirty laundry in public. Do I blame Blatt for not standing up to LeBron? Yes, he should have kept on coaching the way he knew how instead of trying to please LeBron. But do I blame Blatt for trying to keep his job by appeasing the star? No. As a first-time NBA coach who had zero previous NBA experience, Blatt thought this was the right thing to do, and it ultimately – and ironically – cost him his job. Now, onto less controversial things, such as the All-Star game. I know we have released our Eastern and Western conference picks for the starters, and I know the NBA has released the official starter. Obviously, they don’t match up perfectly, which means we think there were some snubs. For me, the biggest snub was Draymond Green. Green, unfortunately, plays in the same conference as the biggest stars in the league, Steph, KD, Westbrook, and Kobe. Add in the exceptional play of Kawhi Leonard, who is close to becoming a top-5 player in the nba, and there is no room for Green. Well I think all five of those players are deserving of the starting nod, I feel bad for Green. If this was not Kobe’s final season, I have no doubt in my mind that Draymond Green would be a starter instead of him. Of course however, Kobe is in his final season, and is, in my opinion, the Michael Jordan of his time. It is unfortunate that Green couldn’t make the team because of this, but Kobe deserves to be honoured as an All-Star starter one more time. Who do you think got snubbed in the All-Star voting? Adam: For me, it was DeMarcus Cousins and Andre Drummond. It’s an awful thing not to have a single player who plays the centre position, starting. The fact that the NBA took out the centre position and combined the 3, 4 and 5 positions to call it the “frontcourt”, really pisses me off. You can’t have two small-forwards taking the tip against each other. It would be one thing to create the frontcourt position if there truly weren’t any centres who belonged in the All-Star game, but that is not the case. DeMarcus Cousins is averaging over 26 points per game – AS A CENTRE! How is he not a starter? What about Drummond? He’s pulled down multiple 20-20 games and even a 30-20 game. How does he not at least be considered for the starting spot? I think that within the next three years, we will see the centre position back in the All-Star game. What do you think of this whole frontcourt/centre debacle? Rossy: I think fan voting should be taken out of the All-Star game. It is my belief that this will help fix the frontcourt/centre debacle, since coaches and executives have more appreciation for big-men. I love how the fans are involved and rallying for their favourite players, but the game becomes a popularity contest compared to a talent showcase. For example, take the NHL fan voting. John Scott, a goon who is best known to me for starting a fight with Phil Kessel in the preseason, is an All-Star captain this season. To make matters even worse, Scott has been sent down to the minors numerous times this season. Although I love the fact that Scott won’t let the league dictate what he does, and is running with this opportunity, it just goes to show how the fans can sometimes sabotage events like this. Even last season, with Zemgus Girgensons, the fans voted someone into the All-Star game that had no business being there. To make matters worse, in this season’s format, each team only gets one representative for the game, and Scott is taking up a spot that could be used to honour Shane Doan, or showcase the elite young talent of Max Domi or Anthony Duclair. Adam: Scott actually contemplated declining his second invitation to the game (he was deprived of his first one when he was traded), and even thought of how he didn’t belong and what not. But in the end, he realized that this is a once and a lifetime opportunity. Domi and Duclair will get there’s. Doan has had his. Let Scott have a chance. It will draw more fans to the game and I bet the TV ratings go up this year as well. Let’s face it, a little comedy and light-heartedness is what everyone really needs during All-Star weekend. It’s a time to celebrate the sport of Hockey and to have fun while doing it. Players have said how the format has gotten boring and the game isn’t fun to play in, well now we have a new format and a new breed of All-Star in John Scott, and it’s exactly the change the game needs. I have no problem with him playing in the game, and I am actually happy the NHL decided to let him. Aside from the whole John Scott situation, what do you think of the new 3 on 3 format for this years All-Star game? Rossy: I love the 3-on-3. In overtime, it ups the excitement level significantly. The level of speed and skill on display is tremendous, and I can’t wait to watch the most skilled players in the world – and John Scott – duke it out in the new format. There is so much more open ice available to these players, and the creativity that is going to be shown is making me eager for the games to begin. Having players with the skill of Johnny Hockey, Patrick Kane, and Vladimir Tarasenko play in this format is going to make for some exceptional hockey. I know you are on top of the MLB offseason, and there was a big-time signing last night in the form of Yoenis Cespedes’ 3-year, $75 Million contract. What is your opinion on that signing? Adam: I really like the signing, especially because I predicted it! It’s honestly incredible how he got the opt-out after one year. He gets one season to go for another deep run with the Mets, and if he likes what he see’s he can stay and make $25 million a year. If he wants to leave or opt-out and sign a bigger contract, he can too. It’s the perfect contract…for a player. For the Mets, it’s another risk, but a one that is necessary. Cespedes had a career, and MVP type, season last year which resulted in the Mets reaching the World Series. If he can build on that run, and come back with another MVP candidate season, the Mets will have gotten their moneys worth. They lost playoff hero Daniel Murphy, so they will need Cespedes to produce even more. I think he has found his home with the Mets, and that it will workout for both sides. Honestly, I’m just glad he didn’t end up in the AL. There were rumours of him talking with the Yankees which really got me worried, but clearly nothing ended up happening with that. With Spring Training approaching, the offseason is winding down. There are a few guys left with decisions to be made, but now with Cespedes off the market the free agent pool has lost it’s remaining “big-name” player. Teams still have holes to fill and decisions to be made, such as the Jays and 2015 MVP Josh Donaldson, who is looking for a hefty raise via arbitration. It will be interesting to see how that situation plays out. That’s a wrap for this edition of Brother Banter. What do you think of the topics discussed? Did Blatt deserve to be fired? Did the Mets make a good decision in re-signing Cespedes to a big contract? Comment below!